Welcome to the first Wine and Cheese Friday coming to you from the Southern Zone of Costa Rica. Neil and I have visited CR a few times in the past and usually end up drinking wines from Chile and Argentina while we are here. There’s not much for Costa Rican produced wines, at least not made from grapes. 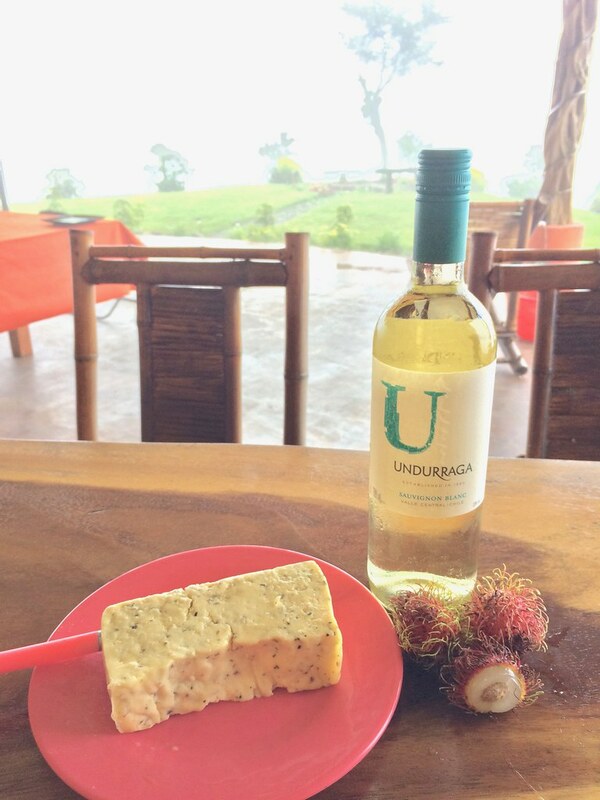 We chose a Chilean brand that we’ve never heard of to start off our Costa Rican series, Undurraga. During our previous visits we’ve tasted many farmstead cheeses without much idea of what type of cheese we were actually trying. This leads to some funny discoveries like the cheese meant for melting, the one that was just named after the farm it came from, and that incredibly smoked cheese. 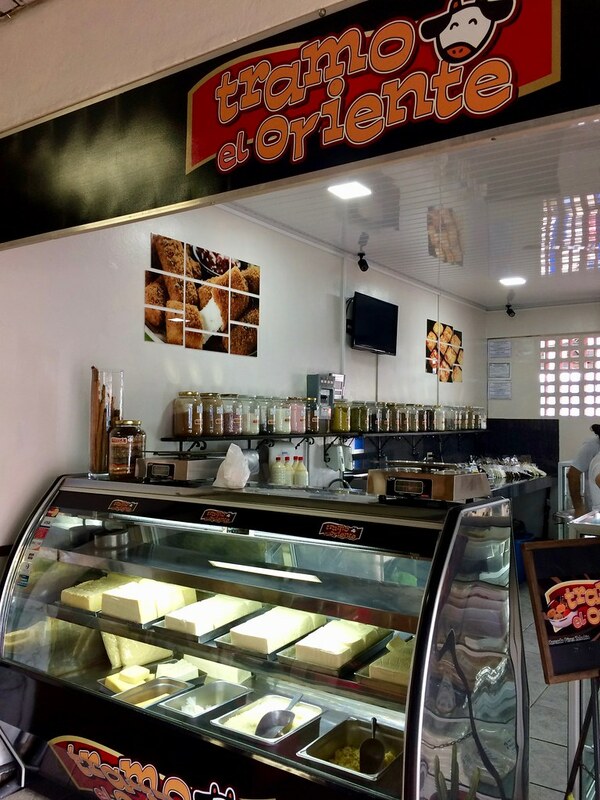 We had a bit of an upper hand with the cheeses this week because Tramo el Oriente, the cheese shop in the Municipal Market, is still there from our last trip. During the 2015 trip, we spent a night with friends doing an impromptu wine and cheese pairing, this is the same cheese from that night. There was lots of wine, cheese and not much food so all we remembered was liking the Queso con Especias. We brought the Sauvignon Blanc and Queso con Especias (Cheese with spices) over to our landlord Bruce’s house for some fun. He already had his records from the 1970’s playing so he was ready to party! He even had another bottle of Chilean white wine chilling in the fridge, by Frontera, so we ended up pairing 2 Sauv Blancs and the cheese with spices. We found some local spiny fruits at the market too so those will be featured in this entry also. The first Sauvignon Blanc was the Undurraga wine. We identified crisp, light, citrus and petrol aromas as we swirled the wine. Bruce simply said it was an “easy drinker” and continued to enjoy his wine. After sipping the wine, I noticed high acid, light texture, and a lime citrus finish. Neil found stone mineral flavors along with grapefruit. With lots to taste, we moved on to the cheese next. Knowing the typical characteristics of Costa Rican cheese, we all waited for someone to start tasting the cheese. It’s not bad, just different from US cheeses. I guess the best way to describe it is that most cheeses here are not aged for very long and they have a spongy texture. This cheese was pretty different though! Bruce added a pinch of salt to it and said it’s the best Costa Rican cheese he’s had. The spices gave it onion and garlic aromas. There was some barnyard funk to it also. Neil found it to be interesting but was confused why there was no salt? 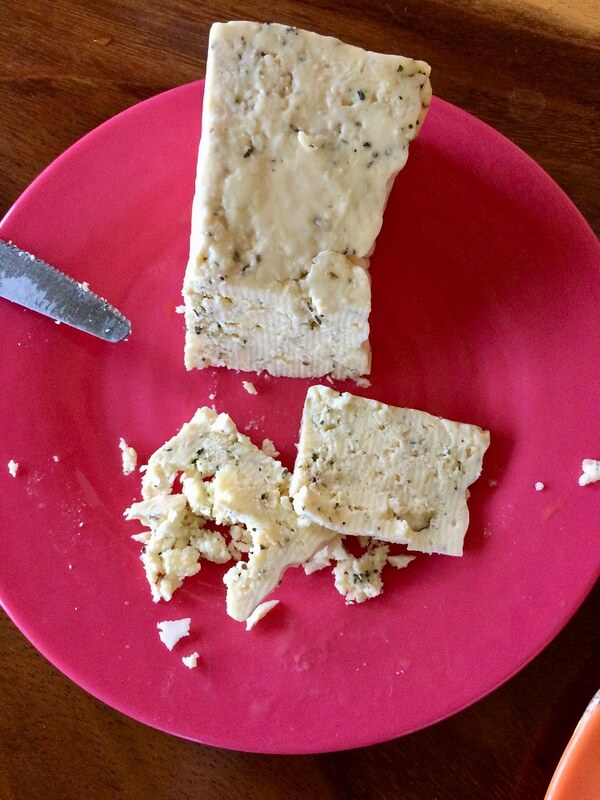 It did have that token spongy texture that most Costa Rican cheeses have but the spices definitely improve it. It tasted like italian seasoning, funk and reminded Neil of the flavor of cottage cheese. Next we paired the Undurraga Sauvignon Blanc and the Queso con Especias. I thought it was a good pairing. The wine got softer and the cheese was more funky and garlicky. Neil thought the wine got sweeter and the cheese stayed the same. He agreed that it was a good pairing, so did Bruce. Guess we passed the cheese test and the wine and cheese pairing test. Now let’s try that strange fruit. This fruit has all kinds of textural qualities. The outside is soft and spiny but you peel the skin off and eat the insides. The inside kind of looks like an eyeball, clear with a pit inside it. Just bite it and spit out the pit! We all gave it a whirl and Neil thought it was similar to a concord grape. I called it lightly sweet and thought it did remind me of the texture of a grape. Bruce didn’t think it was sweet and wasn’t really into peeling those spines off. So what is this fruit? It’s called Rambutan or in Costa Rica “mamon chino”. Definitely worth a try once. The locals love them and you find those strange spiny skins all over the road. We still had another wine left to taste, the Frontera Sauvignon Blanc. I will say I was a little nervous when I saw the mildew on the label. Luckily it was fine, just a part of being here during the rainy season, I guess. It smelled like a chardonnay and kind of buttery. That was unexpected. It tasted a bit oaked too. Neil didn’t have the chardonnay experience that I did. 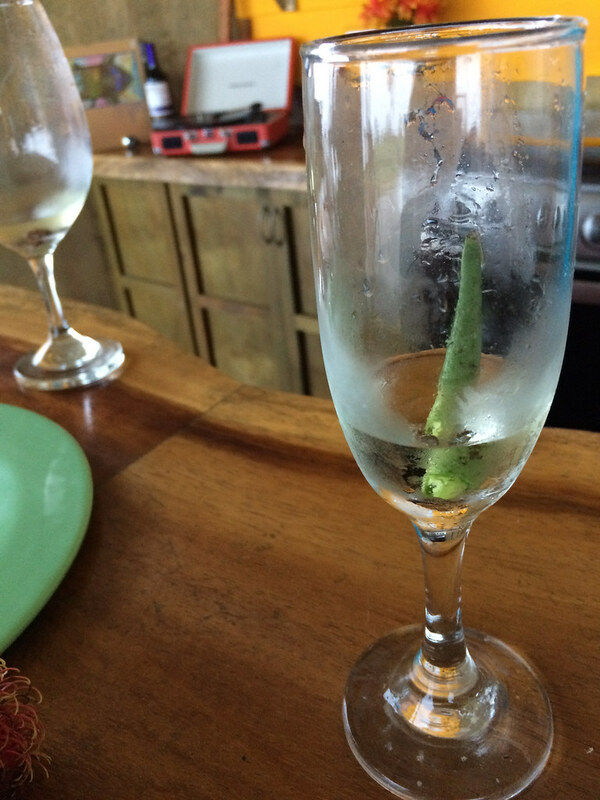 He picked up green bean aromas (hence our host’s interpretation) and fresh vegetable flavors. Bruce thought it didn’t have much body to it but he likes it when it’s very chilled. 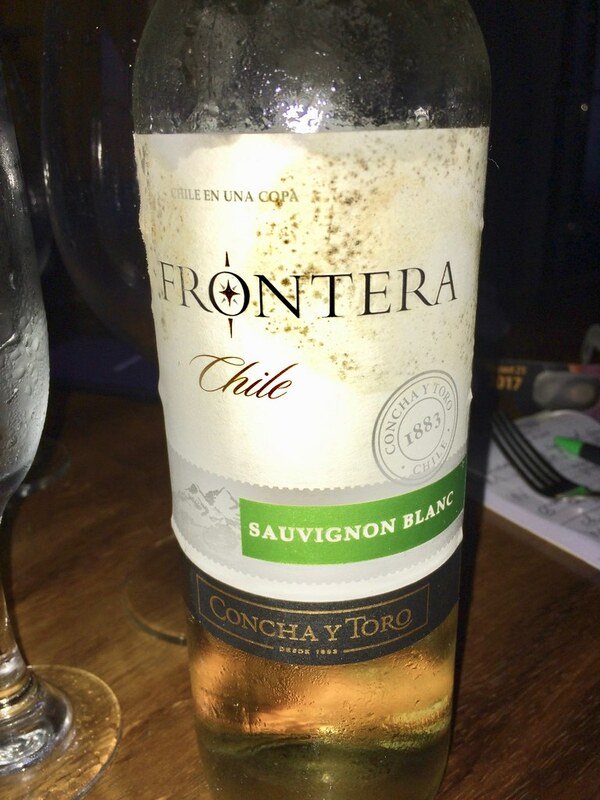 Bruce liked the pairing of Frontera sauvignon blanc and queso con especias. Neil felt the wine tasted like more mineral and he didn’t enjoy it. I thought both the wine and cheese changed flavors during the pairing. The wine became crisp and light and the cheese became more mild. I think this pairing improved the wine or at least made it remind me more of a sauvignon blanc. I think the strength of the cheese is the spices so the wine changed it for the negative. Whether it was a good pairing or not, we did have a nice time hearing those records and hanging out. I’d say Neil and I both preferred the Undurraga Sauvignon Blanc. After purchasing this wine, we’ve found there is a quite a nice selection of this brand in the local stores. I also read online that the brand has been around since the late 1800’s. Actually so has the Frontera main brand-Concha y Toro. Guess the Chilean wine industry is much older than I knew. Stay tuned for some more South American wines during our time here. 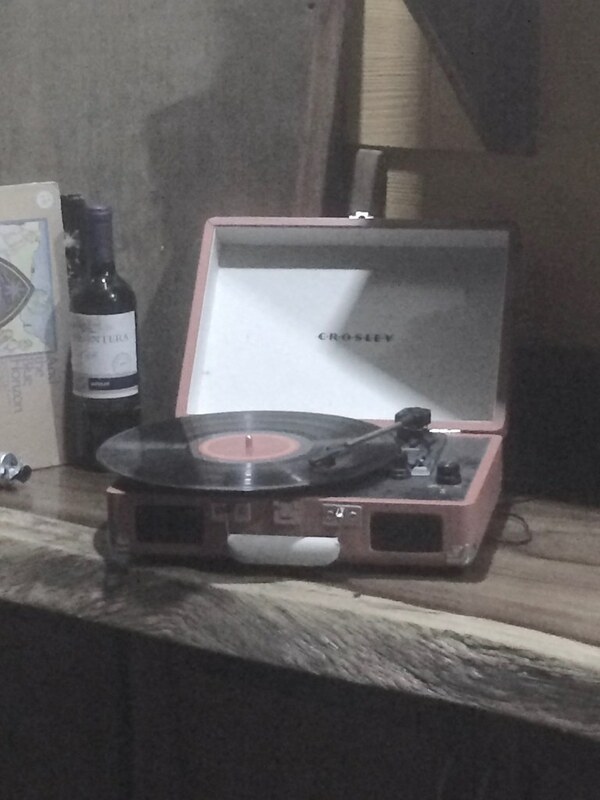 Curious about some of our past Costa Rican wine and cheese pairings?